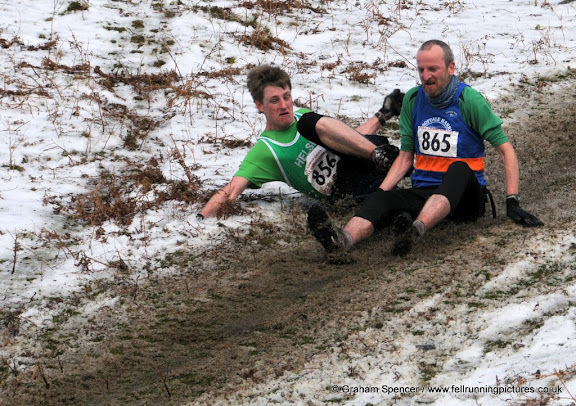 This entry was posted in Uncategorized and tagged ali tye, fell running, jim o'hara, long mynd. Bookmark the permalink. 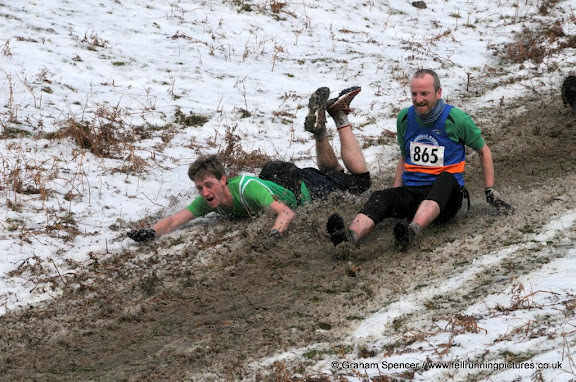 Is it true that you go down hill faster on your head!!!! 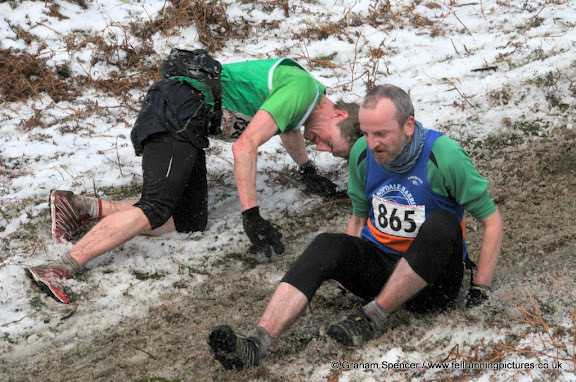 There’s a reason it’s called fell running! And yes, special prize at awards time. Sadly Jim’s line doesn’t actually look any quicker. Absolute quality! 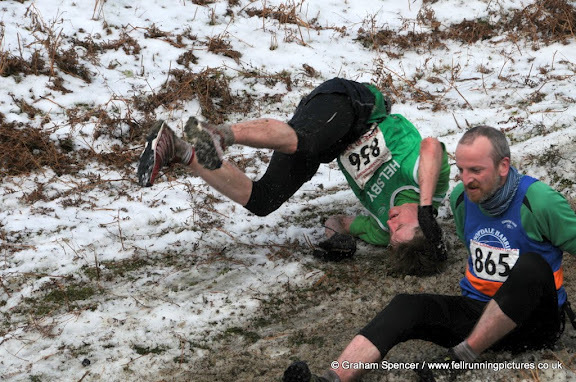 it almost looks like your cunningly trying to take the other fella out with a rather unique judo style kick… then failing miserably as karma does pay back?! Hope your still all intact? LMAO – Absolutely superb! Really made me chuckle! Great work Graham, I’m sure Jim’ll thank you in years to come. 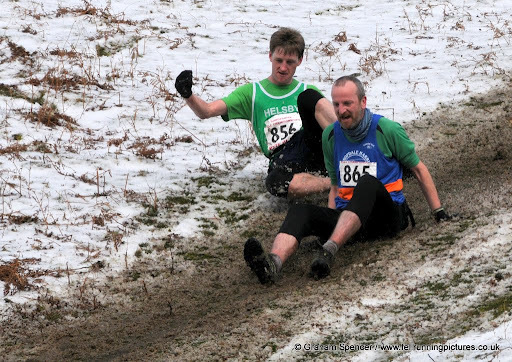 more pictures by me on Al’s site a good picture of Jim the survivor of winter total wipeout his expression says it all.